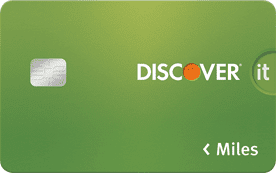 As an avid credit card fan, I am often flummoxed by those who choose to pay with debit or cash. Even if you discount the security and convenience of credit cards — though those are no small things — just think about all the rewards you could be earning! And purchase rewards are just some of the major benefits of using a credit card. The modern market is full to bursting with credit card options and, as with any good capitalist industry, that means consumers get to benefit from all that competition. Undoubtedly the flashiest of the many credit card benefits, the purchase rewards are certainly worth noting. Purchase rewards are essentially like earning an automatic rebate on every credit card purchase, helping you save money with each swipe. Thanks to the rich marketplace of cards, most consumers with decent credit can take their pick of rewards options, choosing everything from the type of cash back they’d like to earn to the exact purchase types on which they’d like to save the most. 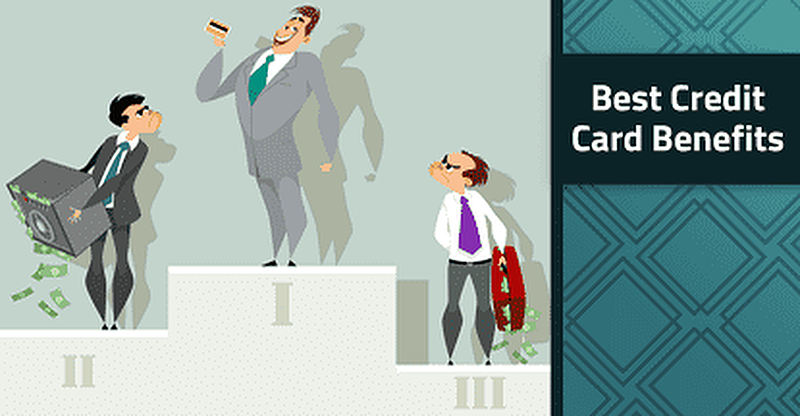 Cash back rewards are a no-muss, no-fuss way to save with credit card rewards, offering easy redemption options that typically include a statement credit or deposit into an eligible bank account. 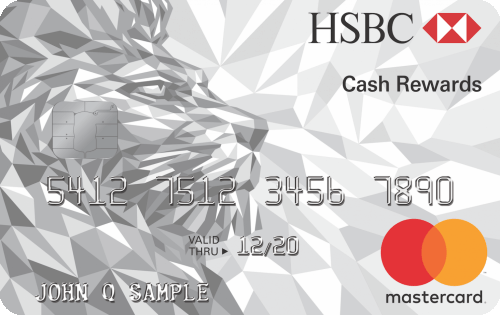 Earning cash back rewards is as simple as redeeming them, with many cards, including our picks below, offering an unlimited flat earnings rate. To get even more value out of your rewards, choose a card that also offers bonus cash back for purchases in the categories in which you spend the most. As an extra incentive, many cash back rewards credit cards also provide valuable signup bonuses that can be worth hundreds of dollars. Simply meet the minimum spending requirement with your card within the given promotional period to earn a bonus payday. Anyone who travels regularly — or would simply like to do so — can likely benefit from a good travel rewards credit card. These cards allow you to earn points or miles on every purchase that can be redeemed toward things like free flights and hotel stays. Similar to other rewards cards, travel rewards credit cards will offer unlimited points or miles at a flat rate, and some cards will also offer bonus points or miles for purchases made in specific categories. Choose cards with flexible rewards, like those below, to get the most versatility out of your rewards. Some of the most lucrative travel rewards are those that can be transferred to partnering airline or hotel loyalty programs, as they can then be pooled with your existing loyalty rewards for branded redemption. Unless you live in a city with excellent public transportation, the chances are good that you use a personal vehicle for your daily commute, making paying for gasoline a regular — and expensive — necessity. By using the right card for your gas station purchases, however, you can offset the cost of your car’s consumption with cash back or points rewards on every fill-up. While not a year-round winner, the Chase Freedom® usually offers at least one quarter a year in which you can earn 5% cash back on gas (on up to $1,500 in gas station purchases per quarter). Plus, you’ll earn unlimited 1% cash back on non-bonus purchases year-round. The Bank of America® Cash Rewards Credit Card now lets cardholders choose their 3% cash back category each month, with gas as a potential option. Bonus rewards are limited to the first $2,500 in combined choice, grocery, and wholesale store purchases per quarter. The Blue Cash Preferred® Card from American Express offers 3% cash back on gas purchases year-round, plus an unbeatable 6% cash back on your first $6,000 in grocery store purchases each year. While the card comes with a $95 annual fee, the $250 signup bonus covers at least the first two years. Plus, spending just $32 a week on groceries with your card can cover your annual fee every year thereafter. If you’re one of the millions of Americans who’d rather dine out than cook in, then you’re also likely footing a fairly large food bill each month. Rather than face the music — and the stove — you can help take the edge off of your burger bill with a credit card that earns bonus rewards on dining. Some of our favorites below offer as much as 5% cash back on your restaurant purchases. Given that the Ultimate Rewards® you earn with a Chase Sapphire Reserve® have an estimated value of 2.1¢ per point, that 3X points per dollar on dining can mean a return of more than 6%. 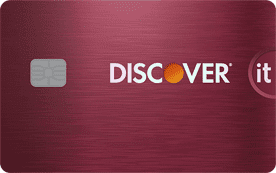 Both the Chase Freedom® and Discover it® Cash Back regularly offer restaurants as a cash back bonus category at least one quarter every year, which means you can earn up to 5% cash back on dining each activated bonus quarter (on up to $1,500 in bonus category purchases per quarter). In addition, both cards offer unlimited 1% cash back on dining purchases the rest of the year, making sure you’re always earning rewards on your restaurant purchases. While purchase rewards certainly earn their flash, they’re not the only benefit to using your credit card to make purchases. Many modern credit cards also offer a wide range of protection benefits that can save you hundreds of dollars. Ever seen the exact same item for less a few days after you buy it, or had your brand new cell phone break before you’ve made a call? Credit card purchase benefits can cover everything from a drop in price to a dropped piece of electronics, giving you more peace of mind when you shop. One of the most frustrating things for any deal hunter to face is finding the perfect price — a week after paying more for the same item. With credit card price protection benefits, however, you can have up to six months’ worth of peace of mind that you’ve gotten the best deal. Some of our top-rated cards for price protection even do the work for you. While credit card issuers get credit for a lot of card benefits, the networks can be the source of many great credit card perks. For example, most Mastercard® credit cards come with basic price protection benefits good for savings of up to $250 per claim, up to four claims per year. Citi’s price protection benefits, known as Citi Price Rewind, are among the easiest to use, as Citi does much of the work for you. You can submit any purchase made within the last 60 days, and Citi Price Rewind will automatically search for eligible lower prices. Benefits are limited to $200 per claim and $1,000 per year. As exciting as it can be to open up that new cell phone with its fancy features, each of those “upgrades” also come with an upgraded price tag. Worse, if you’re anything like me, that new phone doesn’t stay shiny and new for very long. Happily, if you pay your monthly cell phone bill with the right credit card, you may be eligible for mobile phone insurance through your card. 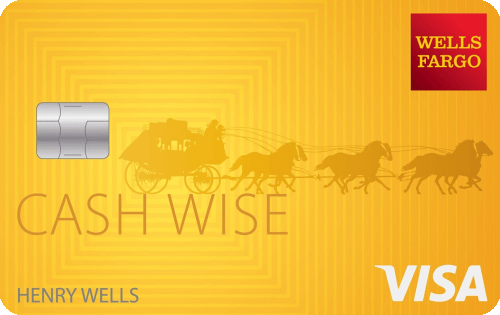 The Wells Fargo Cash Wise Visa® Card offers up to $600 per claim to cover cell phone damage or theft, up to $1,200 per 12-month period. The benefit doesn’t cover loss, and is limited to the repair or replacement of your original phone. There is a $25 deductible per claim. Credit card benefits aren’t limited to consumer cards; the Chase Ink Business Preferred℠ includes cell phone protection that covers theft and damage for the cardholders and any employees listed on the cell phone bill. You can receive up to $600 per claim, less a $100 deductible, with a maximum of three claims per 12-month period. The Uber Visa Card from Barclays provides up to $600 in mobile phone coverage — less the $25 deductible — when you pay your mobile phone bill with your card each month. In addition to mobile phone coverage, the Uber Visa Card has a range of other benefits, including competitive purchase rewards, no annual fee, and no foreign transaction fees. Few things are quite as annoying as an item that breaks just a day or two past the 30-day return window, particularly when it’s from a persnickety store that won’t bend the policy when it’s a minute past expired. Credit card purchase protection benefits can cover stolen or damaged items that would otherwise go unreimbursed, offering extra peace of mind when you’re making a big purchase. Purchase protection from the Chase Freedom Unlimited® will cover new purchases for up to 120 days from the purchase date, offering up to $500 per claim and up to $50,000 per account. Purchase protection from the Citi Prestige® Credit Card provides a long 120 days of coverage and offers up to $10,000 per claim, with a $50,000 maximum per year. Coverage covers items that are damaged or stolen, not lost. Remember that the entire purchase amount will need to be charged to your card to qualify for coverage. The Platinum Card® from American Express offers purchase protection that’ll cover most purchases, extending up to 90 days from the purchase date and up to $10,000 per occurrence, with a limit of $50,000 per calendar year. Depending on the size of your purchases, just one use of the card’s purchase protection benefit could more than make up for the high annual fee. No matter what you purchase these days, it seems as though everything comes with an optional warranty of some kind. But who actually ends up using that $6 warranty for their waffle iron? Now you can just say “no” to pricey store extended warranties. Instead, you can get a little extra protection without the extra fee when you use a credit card that offers extended warranty protection. If your new purchase comes with a manufacturer’s warranty of up to three years in length, your Chase Freedom® will extend it by an additional year if you put the entire purchase amount on your card. As with the Chase cards, Capital One® credit cards come with the ability to extend a manufacturer’s warranty of three years or less up to one additional year when the full purchase price is paid with your Capital One® credit card. Along with its many other benefits, the Citi Prestige® Credit Card offers warranty extensions of up to 24 months for qualifying card purchases, one of the longest warranty extensions offered by a credit card. Only items that have an existing manufacturer’s warranty are eligible for an extension. Coverage for repair or replacement cannot exceed the original cost of the item. Whether traveling for business or on a great adventure, it’s important to always be aware of the potential hazards that inherently come from leaving home, like losing luggage, long airport layovers, and rental car collisions. You can travel with more security by paying for your travel expenses with a credit card that offers valuable travel benefits to ensure you’re never stuck paying for the hazards of travel. The answer: those who can maximize their card’s annual travel and fee credit benefits. With some cards offering $300 or more in statement credits for specific purchases, you can easily turn a $450 credit card into a lucrative investment. The Chase Sapphire Reserve® offers a whopping $300 travel credit that can apply to any qualifying travel-related purchase, a category that Chase defines very broadly to include everything from flights and hotels to ridesharing services and parking garages. The Citi Prestige® Credit Card offers several types of credits, including an annual $250 Air Travel Credit and a $100 Global Entry application fee credit every five years. The Air Travel Credit can apply to a wide range of flight-related purchases, including airline tickets, baggage fees, seat upgrades, and in-flight purchases. The Platinum Card® from American Express offers up to $200 in Uber credits each year ($15 each month plus $20 in December), a $200 annual airline fee credit good on incidentals, like baggage fees and in-flight meals, and up to $100 credit for Global Entry or TSA Pre✓® once every five years. Those who can max out their credits each year can easily make up for most of the Platinum’s high $550 annual fee, and that’s before you include the competitive purchase rewards on airline and hotel purchases. Stuff happens. And, unfortunately, stuff even happens while we’re on vacation, including missed flights, natural disasters, and medical emergencies. Without some form of travel insurance, however, non-refundable travel expenses are simply gone when you have to cut a trip short. Thankfully, several premium travel credit cards come complete with coverage for trip delays, cancellations, and interruptions that can put thousands of dollars back in your pocket. Regardless of which Chase Sapphire card you have, you’ll have access to both trip delay and trip cancellation/interruption insurance. Trip delay insurance covers up to $500 in unreimbursed expenses per trip for delays over six hours for the Reserve®, and over 12 hours for the Preferred®. Cancellation/interruption reimbursement covers non-refundable travel expenses up to $10,000 per trip. The Citi Prestige® Credit Card trip delay coverage kicks in when your trip is delayed 12 hours or more, and offers up to $500 per ticket for things like meals and accommodations not otherwise covered by the airline. The card also offers valuable trip cancellation insurance that can reimburse you for flights, hotel stays, and other travel-related expenses for covered situations. Coverage is up to $5,000 per person, per trip. It’s a common travel horror story: you arrive at your destination, but your luggage is nowhere to be found, leaving you without so much as a fresh change of clothes. While there is little credit cards can do to ensure your baggage arrives as it should, the right card can make sure you’re properly reimbursed for any lost or damaged luggage so the nightmare doesn’t follow you home. Luggage reimbursement from the Chase Sapphire Reserve® is pretty encompassing, including both checked bags and carry-ons. The protection will cover you and immediate family members up to $3,000 per passenger for luggage lost or damaged by the carrier. You’re also covered up to $100 per day (up to $500 per trip) for baggage delays over six hours. The Capital One® Venture® Rewards Credit Card’s luggage reimbursement is the standard Visa Signature® coverage, offering up to $3,000 for luggage lost or damaged by the carrier when your entire common carrier ticket is charged to your Venture® card. The Citi Prestige® Credit Card provides lost or damaged luggage reimbursement for the actual cost of repair or replacement, up to $3,000 per trip. The card also offers delayed baggage compensation for the purchase of essentials for the main traveler and traveling companions of up to $500 for delays of more than three hours. By nature, insurance is something we pay for simply “just in case,” which makes sense for our vehicles — and persons — that could easily wind up costing thousands out of pocket. But, for some reason, when the car rental agent asks if you want the insurance, many of us balk at forking over the extra cash. Well, you can happily decline the included insurance without losing coverage if you use the right credit card to pay for your rental. Both the Chase Sapphire consumer credit cards offer primary rental car insurance, which means you won’t need to wait for your personal insurance to kick in before you can file a claim. What’s more, both offer extra rewards for travel purchases, meaning you’ll also earn bonus rewards for the rental. As with its consumer counterparts, the Chase Ink Business Preferred℠ Credit Card offers primary rental car insurance for theft and collision damage, though the business credit card does limit coverage to rentals used for business purposes. All rental car insurance offered through a credit card will have limitations on the types, sizes, and value of covered vehicles, so be sure to check your benefits terms and agreements for details. Tucked away out of the hustle and bustle of the world’s busiest airports are the exclusive airport lounges that can turn a boring layover into a delightful respite. But with entrance fees ranging from $25 to $50, you have to consider what that respite is worth. Unless, of course, you have a credit card with the right benefits, like those on our list. These cards all come with complimentary access to hundreds of airport lounges around the world, adding another layer of luxury to these top-tier offerings. After a one-time enrollment, Chase Sapphire Reserve® cardholders can enjoy Priority Pass™ Select membership and access to over 1,000 VIP lounges in over 500 cities worldwide. The Platinum Card® from American Express gives you complimentary access to American Express Global Lounge Collection℠, which includes The Centurion® Lounge and The International American Express lounges. In addition to Amex’s own lounge networks, the Platinum Card also unlocks access to Priority Pass™ Select and Delta Sky Club® lounges globally. Citi Prestige® Credit Card cardholders receive Priority Pass™ Select membership, which comes with access to 1,000+ lounges worldwide for the cardholder and up to two guests and/or immediate family members. Individual lounges may set their own hours and dress codes, so be sure to check the Priority Pass website for information before your flight if you plan to take advantage of your membership. With all the benefits available to credit card users, it’s often a mystery to me why someone would prefer to pay with cash or debit. Between the purchase rewards, protections and insurances, and travel perks, credit cards just make sense to me as the best way to buy. Of course, that being said, I do also understand that credit cards simply aren’t for everyone. If you don’t use a credit card responsibly — including paying on time every month and maintaining low balances — then all the benefits in the world may not make up for the fees and credit damage that can result from mismanaging a credit card. Also, remember that not all benefits are offered by every credit card. You’ll want to check your individual cardholder agreement as well as the benefits terms and conditions documentation that came with your credit card to verify which benefits you can access.